Since Alex Rivera earned the inaugural Emerging Documentary Filmmaker Award back in 2003, the honor has gone to a distinguished company of filmmakers who have more than met the criterion of having made "a significant impact at the beginning of his or her career in documentary film." 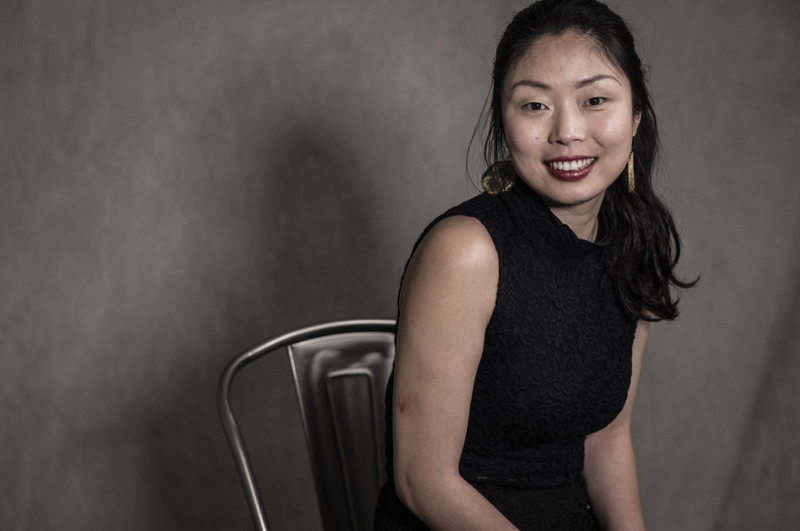 Marshall Curry, Jehane Noujaim, Natalia Almada, Danfung Dennis, Zachary Heinzerling: These are a few of the honorees who have gone on to earn Academy Award nominations, Emmys, Peabodys and, for Almada, a MacArthur "Genius" Grant. Dennis has since launched Condition One, a leading VR technology company. 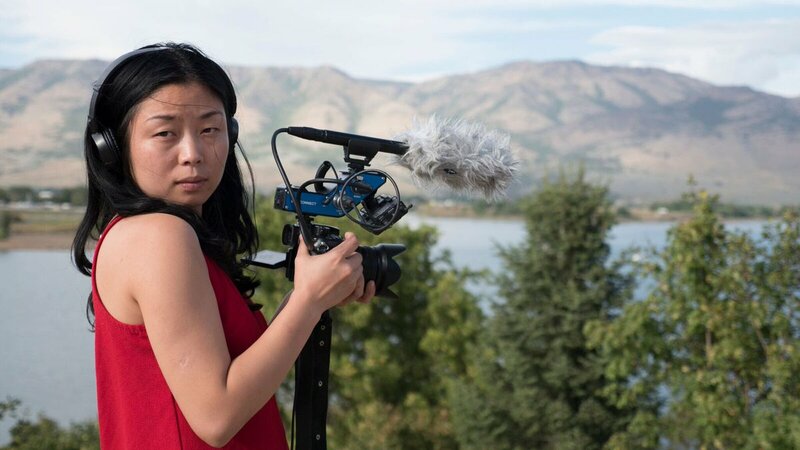 This year's Emerging Documentary Filmmaker Award winner, Nanfu Wang, moved to the US from her native China in 2011 to study documentary - first at Ohio University, then at NYU, where her mentors included celebrated cinematographer Kirsten Johnson. 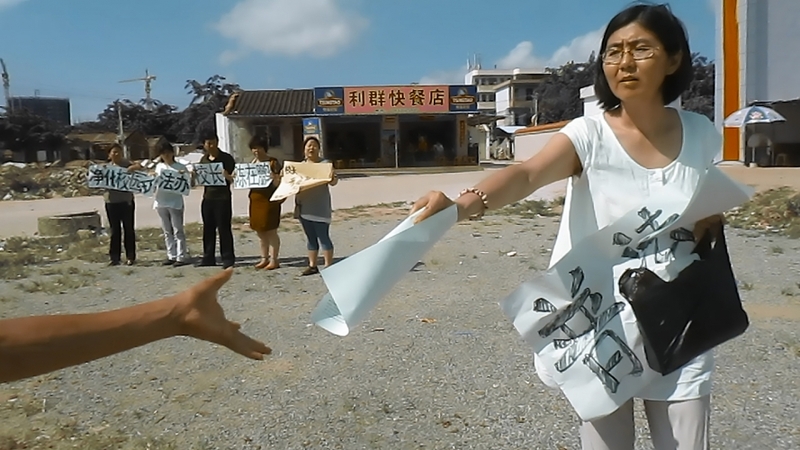 Having experienced poverty firsthand growing up in a small rural village, Wang made a series of short films about marginalized communities in her native country - blood donors stricken with HIV; abandoned children of migrant workers - before she embarked on her first feature, Hooligan Sparrow, about a women's rights activist fighting against government censorship and police brutality. Wang herself faced danger making the film; on the run and in hiding throughout most of the production process, she endured physical and verbal abuse from government officials, and she had to devise ways to preserve her footage, constantly switching out her data cards and smuggling them out through friends to the US. Hooligan Sparrow, four years in the making, earned support from Sundance Institute, IFP, and BRITDOC and IDA's Fiscal Sponsorship Program. Following a world premiere at the 2016 Sundance Film Festival, the film was released theatrically this summer through Film Collaborative and aired on POV in September. Documentary spoke with Wang by phone. The following interview has been edited for clarity and length. How do you feel about receiving the IDA Emerging Documentary Film Award? I was really honored and pleasantly surprised; [Hooligan Sparrow] is my first film. I didn't begin my career until 2012, when I first touched a camera and started filming and editing. Do you feel like you’ve made a significant impact? Yes. I think when Hooligan Sparrow was first released, I had a lot of expectations in hoping that the people in the film would be released from prison, and hoping that the film would result in concrete changes in China. Over several months there has clearly been some impact. For example, because of international pressure, [Chinese human rights lawyer] Wang Yu was released. But I was also a little disappointed that the changes were not big or concrete enough. I've realized that the biggest change so far has been the awareness that the film raised. Hooligan Sparrow has been shown in over 25 countries and at over a hundred festivals. So really, it has exposed the issues, the human rights violations in China, to a lot of people in the world. Have you had screenings in China? The film has been shown in Taiwan and Hong Kong multiple times. But in China, it will not likely have an official screening anytime soon. We're hoping that people can circulate it underground. What inspired you to get into documentary? It's a long story. I was born in a small farming village in China, where the highest education was elementary school. As a child I walked through streets peddling eggs and scrounging garbage to help support my family of four. [When I was 12], heart disease took my father's life; he was 33. When they buried him, I cried in a way I never had - not because he was dead but because I imagined he was alive, that they'd trapped him in that box, that he would be cold, starved and suffocated. I thought the people who buried my father had murdered him. Gradually I realized that a person could die at 33, that death is random and can come at any time. In the years that followed, I became convinced that the same thing would happen to me - that I would die when I turned 33. The timeline for my life was suddenly condensed, and the way I saw the world would never be the same. My mom couldn't afford to send my brother and me to school any longer. I remember her saying, "Your younger bother eventually has to go to high school and college. It's your responsibility to help support the family." I was devastated but I didn't have a choice; my family had no other source of support. So when I was 16, I took my first job, as an elementary school teacher. I worked for about two-and-a-half years and all the time, I just wanted to go back to college. So I enrolled in the self-taught program in China. Once you study the listed books by yourself, you can take the self-taught exam. Two-and-a-half years later, I took and passed the exam, after which they issued the equivalent of a bachelor's degree. The degree was not recognized by employers or general society, but I could use it to apply to graduate school. Around 2007, I got into the graduate program at Shanghai University to study English literature. Once I finished, it occurred to me that I always wanted to be a storyteller. That's why I chose literature as my major. I decided I wanted to study journalism, but not in China. So I applied to about 10 universities in the US, and in 2011, I got into Ohio University. In Ohio I took a class called Documentary Technique and another one, American Contemporary Documentary. I had never seen a real documentary before, and I was blown away by how compelling they could be. Sometimes I felt they were more powerful than fiction films, with real characters and story arcs. It was then I decided that I wanted to do documentaries. You’ve also said that your time at NYU inspired you towards a career in documentary. Yes. When I got to NYU, I already knew that I wanted to do documentary. The inspiration to go actually came in Ohio University, when I first saw those documentaries. I was passionate about the medium, but at the time I still had never touched a camera. So after Ohio University, I applied to a graduate program at NYU called News and Documentary; it was for 15 students and it was really practical - they taught us to film and edit from scratch. And because it's a program in the journalism school, we took journalism classes too, and I spent a year reporting stories in New York and developing research skills. You also met future collaborators at NYU. One of the collaborations actually happened after I graduated. The first person who came on board was a former professor of mine, Peter Lucas. One of his classes that I took was called Poetics of a Witnessing. It blew my mind. Like everything else at NYU, it was entirely new information for me. A lot of the films he showed were done by one person or a very small crew, where they started with really small budgets - just one or two people making a film possible. So it was really encouraging to me when I went to shoot six months later because I was just a one-woman band. Seeing the films in his class really inspired me because of what I knew was possible - that there were different forms of documentary besides the standard TV talking heads. At NYU, Lucas and I got along really well, and we would sit together every week or two weeks to look at the edits. And after I graduated we continued that relationship and decided that he would be credited as Creative Producer. Kirsten Johnson, the director and cinematographer of Cameraperson, was my professor too; her class was really inspiring. Shimon Dotan, who taught Political Cinema, had a film at Sundance called The Settlers. It was in his class that I learned that every film is political. Another professor, Oscar-winning filmmaker Elviva Slassen, introduced me to Alison Klayman after I graduated. She later became my executive producer. So there are a lot of long-term relationships where one person introduced me to another. It took two years after I graduated to assemble the team. Talk about your journey in making Hooligan Sparrow happen. The first time we filmed in China, I was still a student, and barely surviving. I went by myself, and all I took were a couple of pieces of equipment that I had checked out from NYU. When I came back, I didn't have the money to hire anybody to edit. So I edited myself and by graduation, I had a rough cut. Then I needed to find a job to survive. I applied for internships and jobs, but for the first three months, nobody offered me anything. Finally, I got my first job working as a production assistant for an independent producer. And right after that, I got another job at Columbia University’s Teacher's College, producing and editing videos for a program called Ed Lab. I worked there part-time for a year and freelanced the rest of the time for other filmmakers, production companies. Over that year I edited at night, during the weekends, any spare time I had. At the same time I was trying to raise money to finish the film because at that rough-cut stage, there was no funding for the film. I learned that in order to finish and distribute it, you had to do sound, color, everything. And that costs money. I sent proposals and applications to all the foundations that give out grants to independent filmmakers, and one by one I got rejected. Some of them made it really far. The first time we applied to ITVS, it got into the third round, after which it was rejected. Chicken & Egg rejected it in the third round too. I began to worry that the film would not be seen by people. Luckily, soon after that, I got in touch with Andy Cohen, the executive producer of Ai Weiwei: Never Sorry. I knew that he cared about the situation in China, so I asked if he would be willing to look at the film; he watched the rough cut and then came on board as an executive producer and investor. That same week, Sundance gave the film a post-production grant and invited me to participate in the 2015 Documentary Fellow Program. What was the documentary culture like when you were growing up in China? I can only speak from my own experience because a lot of people - my age or younger - might have experienced things differently. My family didn't have a TV until I was a teenager, which is not usual for a lot of city kids. I think I speak for most rural kids. I first started watching foreign films in 2007, when I had my first computer. I was already 22. In China, people have access to Hollywood films, but they rarely watch documentaries because there's no theatrical release for them; television rarely shows them either. TV documentaries are about delicious Chinese food or magnificent Chinese landscapes and culture, both of which are really popular. That’s what Chinese people think documentary is about. Is there an independent documentary scene, given that there have been crackdowns on indie festivals and filmmakers over the years? Well, today, yes. People who care about a film today will find ways to watch it. But they are not the ordinary public. Many of my college friends have never seen a real documentary. But students who go overseas and then return to China will often watch documentaries at underground documentary screening clubs. Sometimes they are just screenings at private houses. Right now it's even more difficult to have independent documentary film festivals because of the crackdowns. Even so, people do underground and college screenings. Has government intervention increased over the years? Yes. If you Googled "independent documentary festivals in China," you would see that in the past seven years almost all the festivals were shut down, or the government cut off electricity at the screening venue or confiscated the computers and screeners. It's been more and more difficult in the past three years. What do you think of contemporary American documentary culture? America has one of the most vibrant documentary cultures in the world, especially in New York. You can choose any topic to see or make [films about]. I'm so grateful that you can watch so many old and new documentaries on streaming platforms and in theaters, and I'm so grateful to the nonprofit organizations and institutes that support the documentary phenomenon. I've never lived in other countries, so I don't know. I know that Europe has a lot of government funding, but I'm really amazed at how supportive the documentary community in the US is. And the opportunities for distribution. There's a huge audience for documentaries as well. As a documentarian, how do you decide on the stories you want to tell? That's probably determined by my personality. I feel a lot of empathy for people at the bottom of society, and I relate to those who don't have access to the resources of the world, who don't have a voice. When I choose a story, it is usually because I've met a character or I know of a person whose story has really intrigued me. Or I've been drawn to the issues reflected by that person and I want to discover more. I think my life has changed significantly from when I was filming Hooligan Sparrow. I still don't know if I can go back to China, and I evaluate this every day - if I can go back, when I can go back. I'm still trying to process the trauma, the psychological change that's happened after making Hooligan Sparrow, which is really a big realization of who I am, where I come from and what my identity is. Much has changed in my personal relationships with my friends in China, now that I've made the film and seen a different China from them. It's been really difficult to communicate and convince people who still don't believe [what my film addresses]. I think it will take me a long time to fully realize the impact of the film on my life. In terms of my personal life and work life, the future is here right now. I'm finishing a second film titled I Am Another You, hopefully to be released in the spring. I'm also developing a documentary set in Cuba. My hope is that I can continue making films that I want to make without making compromises in my life. I know this is really difficult.